It features 3 slides, giving a large, comfortable living area, with opposed sofa / bed and armchairs and full entertainment centre. 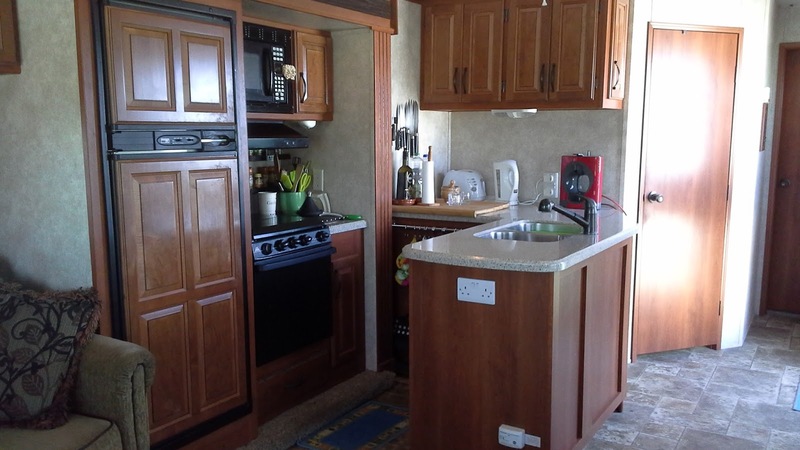 Fully fitted L shaped island kitchen with microwave, large fridge freezer, oven and hob, next to the dining area. Separate Jack and Jill bathroom with large shower, toilet and wash hand basin and large bedroom with tons of storage and king size bed. 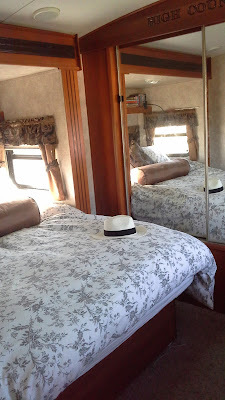 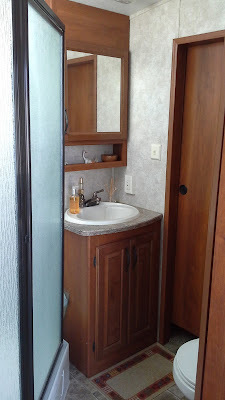 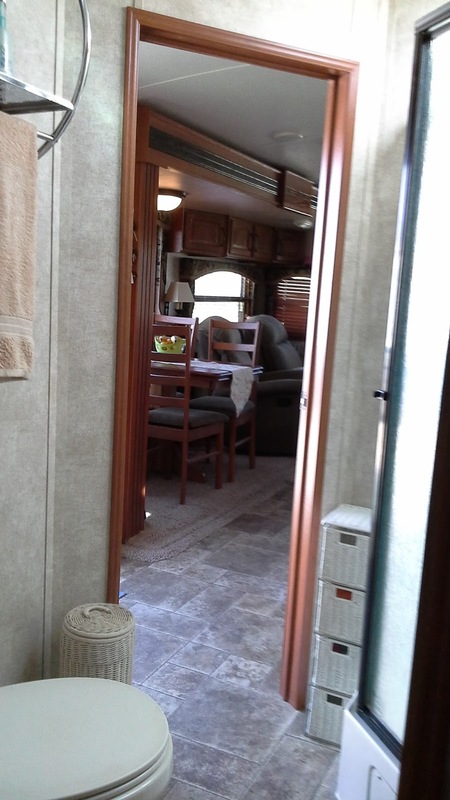 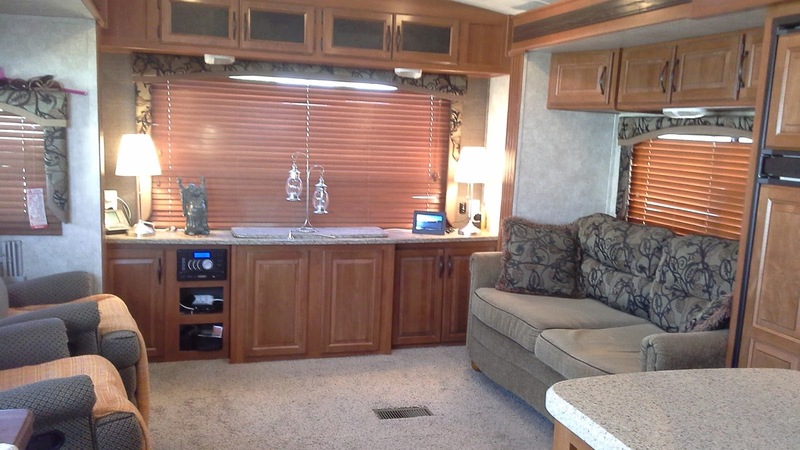 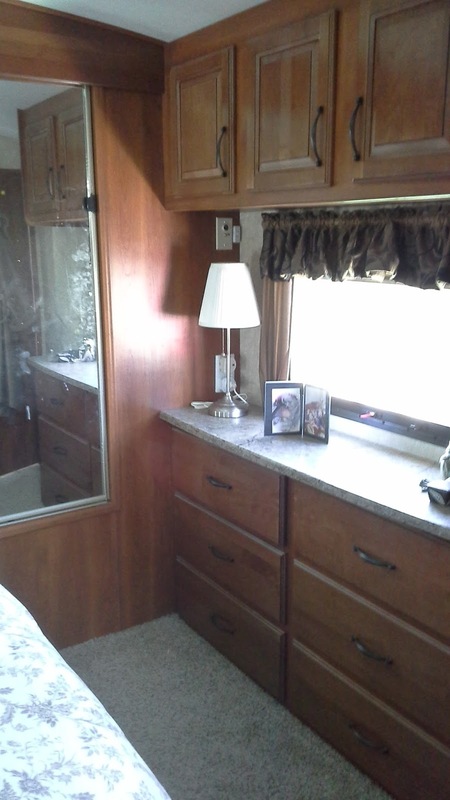 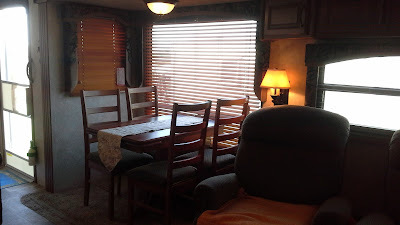 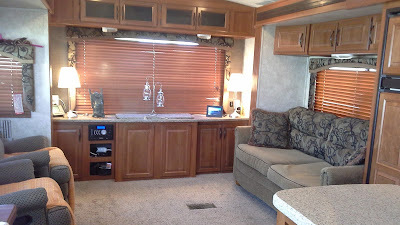 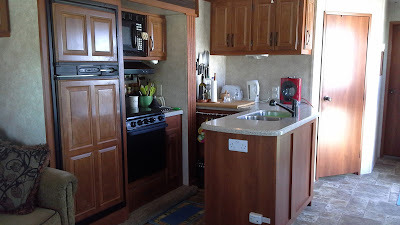 Being an American travel trailer, as opposed to a 5th wheel, it is all on one level.